With the extended fall color season this year, autumn continues its strong showing in the Asheville area. In fact, Asheville is considered one of the best destinations in the country to see fall color this late in the season. Find your perfect place to stay this fall. 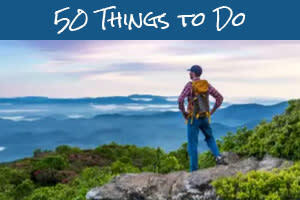 Choose from a full list of accommodations options, from hotels to inns and cabins, HERE. There are many beautiful trees with brilliant fall colors throughout the city of Asheville, Biltmore, and North Carolina Arboretum. 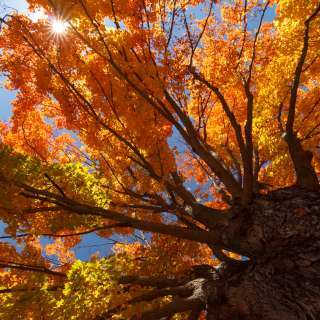 Maples and black gum are perhaps the most colorful, showing intense shades of red and orange. Not to be outdone are the beech and birch trees with their vivid yellows and golds. And now, the color becomes truly vibrant in the lowest elevations of the mountains and the foothills where dogwoods are among the first to reach full color. One of the best places to see fall color this week is at Chimney Rock State Park. “Vibrant foliage has made its way to the lower elevations of Hickory Nut Gorge and is providing incredible views,” said Emily Walker, park naturalist and education manager. She says highlighting the show are the golden hickories, which give the area its name. “We are seeing fall colors over most of our ridges and down to the valley floors,” Walker said. Be sure to Like us on the Visit Asheville Facebook page for live broadcasts from the Asheville area year-round. Hickory Nut Gorge – This incredibly scenic area just 20 miles to the southeast of Asheville includes Chimney Rock State Park. Enjoy a hike to the top of Chimney Rock or extend your hike to Exclamation Point, the park’s highest point, for sweeping views of the gorge. Don’t miss the peaceful and relatively easy hike to Hickory Nut Falls below the Rock. 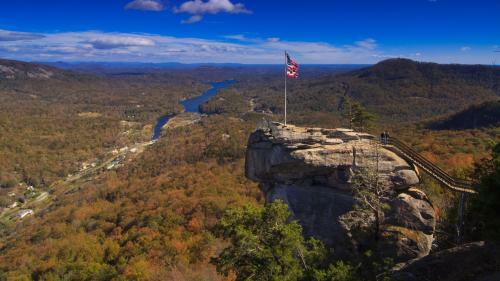 Just a couple miles from Chimney Rock, enjoy the beautiful waters of Lake Lure, where Dirty Dancing was filmed. Stop by farms, wineries, and other harvest season spots along this scenic backroads route from Asheville. Black Mountain/Old Fort/Catawba Falls – Asheville’s neighbor to the east, Black Mountain, is experiencing wonderful late season color. Known as the "Little Town That Rocks," for its many welcoming and beautifully-decorated rocking chairs along its downtown streets, Black Mountain offers charming shopping and dining. Just minutes from downtown, enjoy the path around beautiful Lake Tomahawk. Not far past Black Mountain, near the town of Old Fort is the stunning Catawba Falls. At an elevation of 1,900 feet, Catawba Falls is a great place for an easy hike in late autumn. 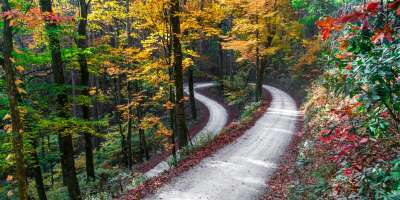 A visit to the Asheville area in the coming days allows you the opportunity to enjoy the best of both the fall and winter seasons at the same time! 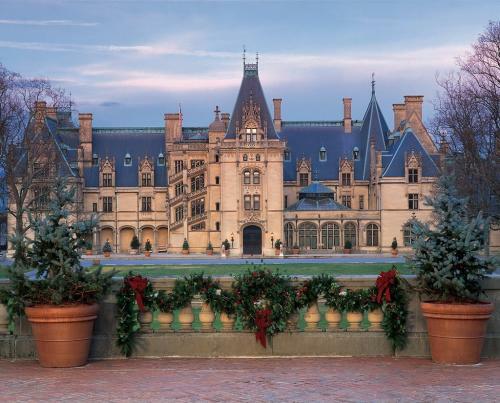 Tomorrow, November 4, marks the beginning of the Christmas at Biltmore celebration that extends through the first week of January. During the celebration, America’s largest home is filled with nearly 70 meticulously decorated trees and thousands of lights. At night, the Estate becomes even more magical for the Candlelight Christmas Evenings when they light the dozens of fireplaces and musicians play live holiday music. But, call ahead and book your trip now. The Candlelight visits are by reservation only. 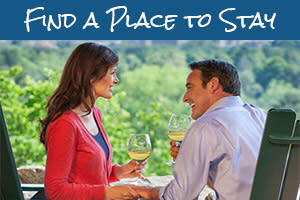 Learn more about celebrating the holidays in Asheville by clicking HERE. Enjoy the beauty and excitement of downtown Asheville during the Downtown Asheville Art District “Art Walk” on Friday, November 5th. More than 20 galleries and museums are available to explore with guides to greet you at each location. The River Arts District hosts its own art walk, the fall Studio Stroll, November 12-13. This self-guided tour is free and allows you to meet more than 175 artists, watch them work, jump in with hands-on training, and purchase one of a kind gifts perfect for the holidays. For beer lovers, the Asheville On Tap Festival on Nov. 5 at the U.S. Cellular Center offers the chance to sample more than 100 releases from the best craft breweries around. As you have a brew, listen to live music and snack on delicious food. On November 10th, Highland Brewing Company is throwing its own celebration to mark the 20th anniversary of Cold Mountain. In addition to sales of this highly-anticipated beer, the Cold Mountain Extravaganza features live music, specialty casks, and local food trucks. Top photo by Jared Kay. 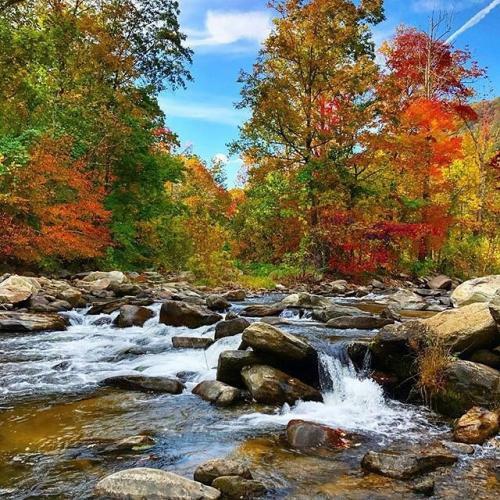 Photo of Hickory Nut Gorge by @kayla_made. Biltmore photo courtesy of The Biltmore Company.